This entry was posted on August 8, 2012 by R C Norman. 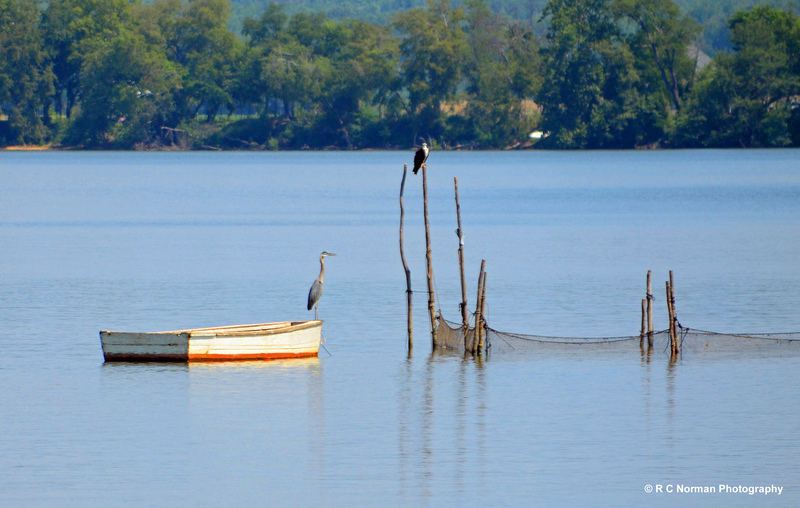 It was filed under Art, Boats, Nature, Photography, Waterscapes, Wildlife and was tagged with blue heron, Chesapeake Bay, Nikon, Nikon D7000, Osprey, Photography, photos, Rappahannock River. Love images like this. Reminds me how a beautiful a simple life is. Of how inspiring nature can be. Thanks for your comments. This shot was taken hand-held from a distance while I was onboard the Captain Thomas passenger boat cruising 10 knots up the Rappahannock River. I got lucky!